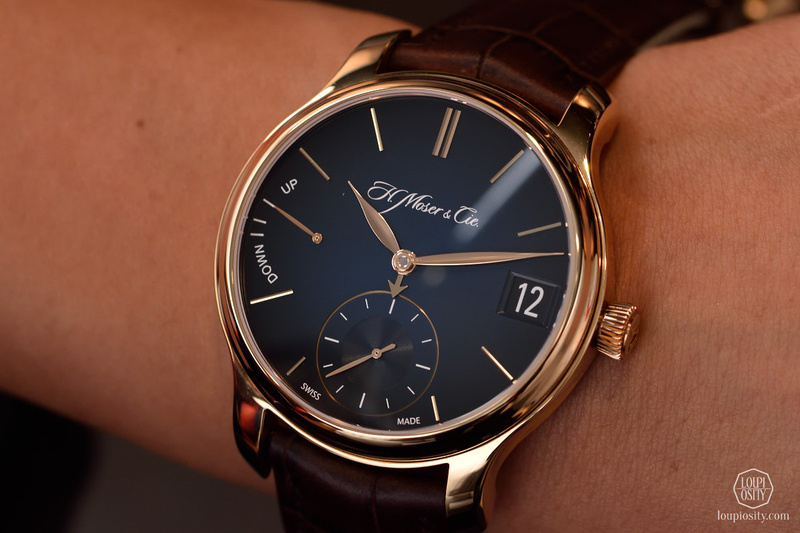 We met H. Moser & Cie in 2013 at the erstwhile Geneva Time Exhibition. 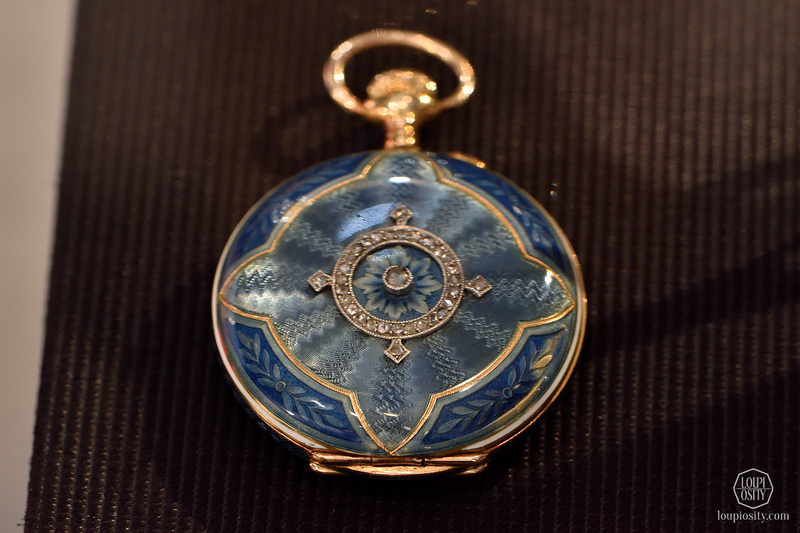 The small booth had hidden pieces that under the classical dials opened their secrets exclusively to competent eyes. 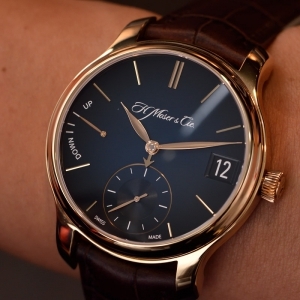 Taking modesty to the extremes, while producing ingenious mechanisms that have been the hallmark of H. Moser & Cie. With the engagement of the MELB Holding and the Meylan family these messages have been made even clearer, while bestowing it with lush green freshness that revitalized the brand. 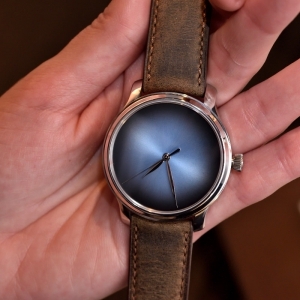 Giving a slap to harshness they came out with concepts, such as the Endeavour Centre Seconds Concept in 2015, which completely omits any signage on the dial leaving some work for the brain and a skipping beat or two for the heart. 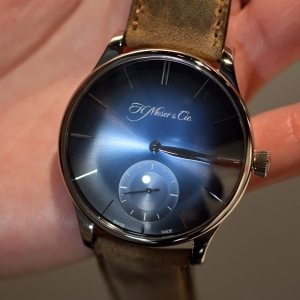 With these steps, H. Moser & Cie. bravely further divided people. Letting their strong package of design, colours and technicality be their trademark instead of a shiny logo, they accepted a possibly smaller but a definitely more zealous fan-club, who do look beyond the obvious and actually search for individuality. 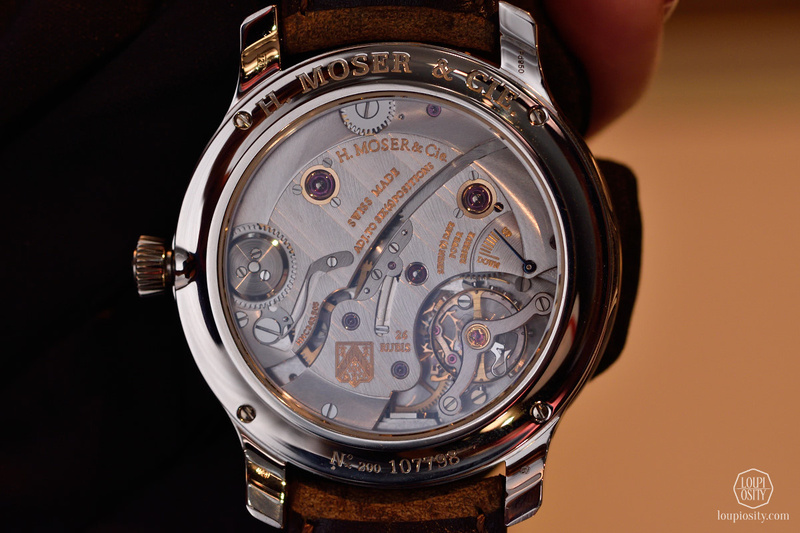 Dews of H. Moser’s freshness comes from the personality of the young CEO himself, I believe – having his and his family’s experience in his pocket, of course. 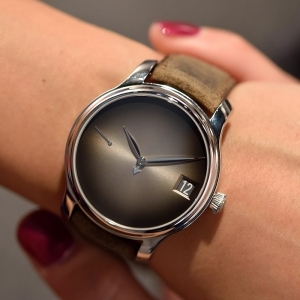 In 2016 the company did something unexpected at SIHH. 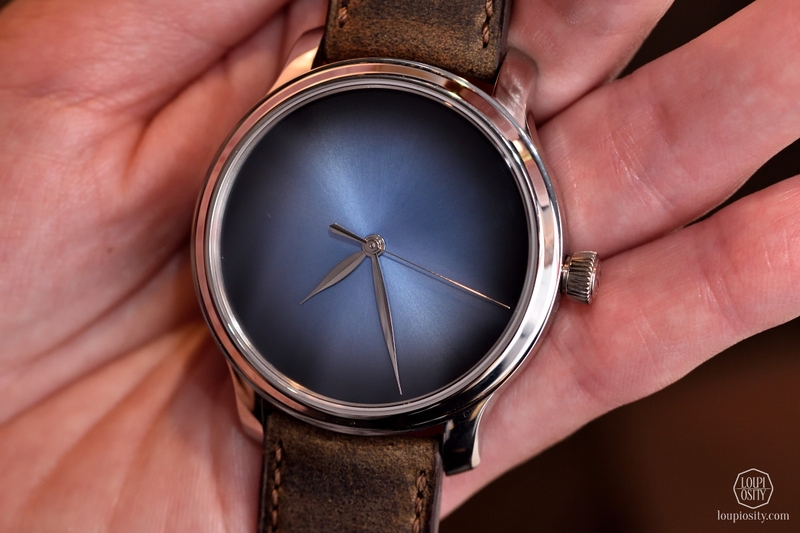 They continued on the route of defining style themselves, but on the other hand issued the Swiss Alp Watch, which builds on the design codes of others. 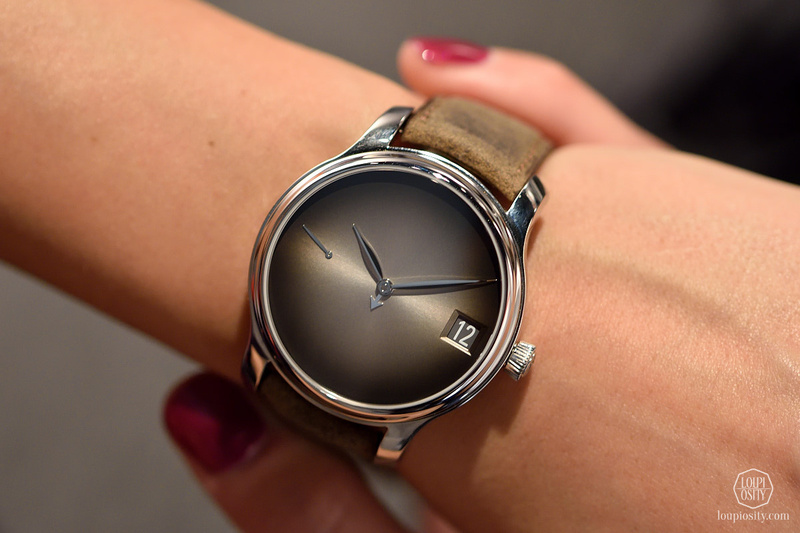 The step stirred the still waters and it clearly evoked emotions both pro and con: people I spoke with had very different opinions regarding the fun-factor and originality of the timepiece. 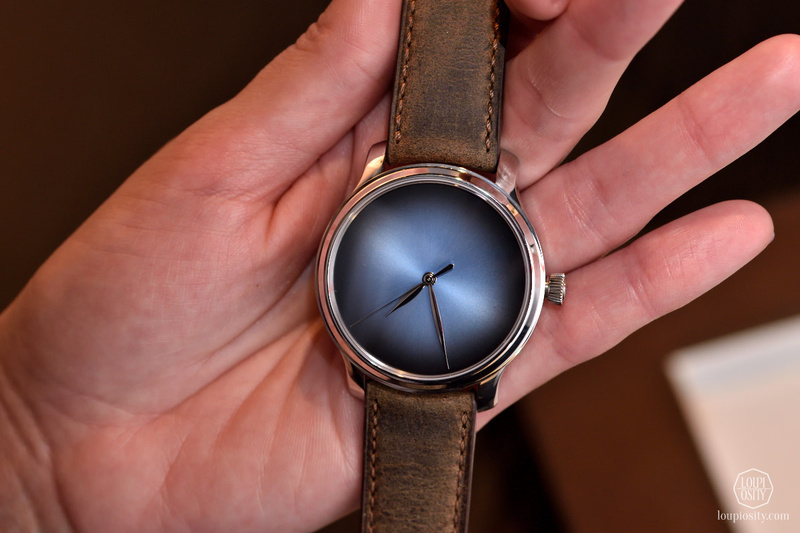 We might write about it later on, but this time I’ll introduce a few other novelties. 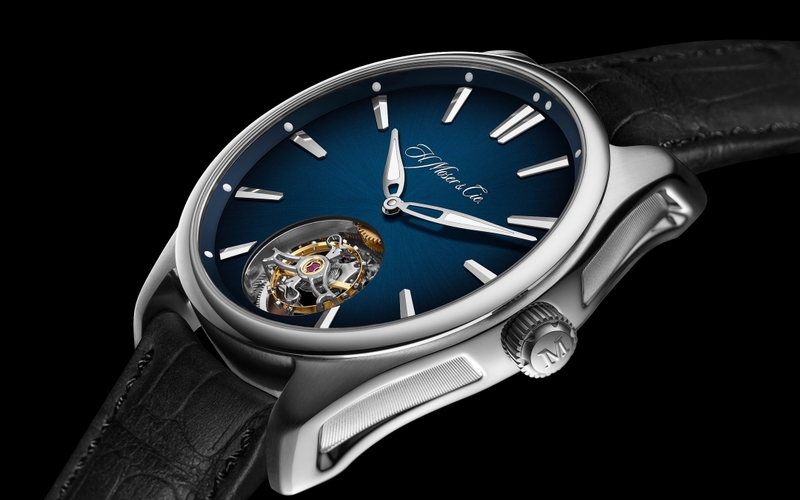 A new lighter “Funky Blue” (or sky-blue fumé as it is officially called) dial complements last year’s rhodium-plated and midnight blue fumé dials. 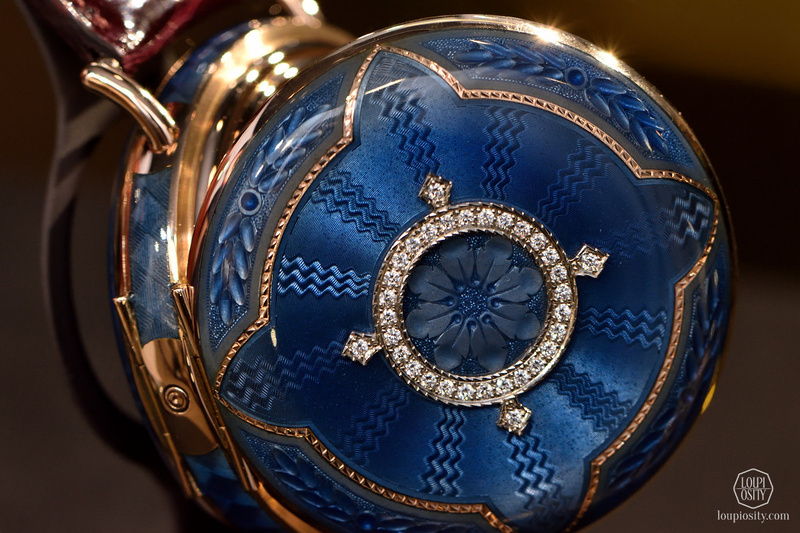 Again, it may be mixed with an 18-karat white gold or rose case to match skin tone or some other preference. 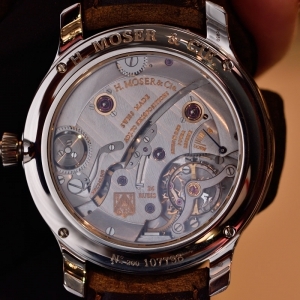 The movement remained the HMC 343 equipped with the Straumann Hairspring® developed by H. Moser with the group-member Precision Engineering AG. 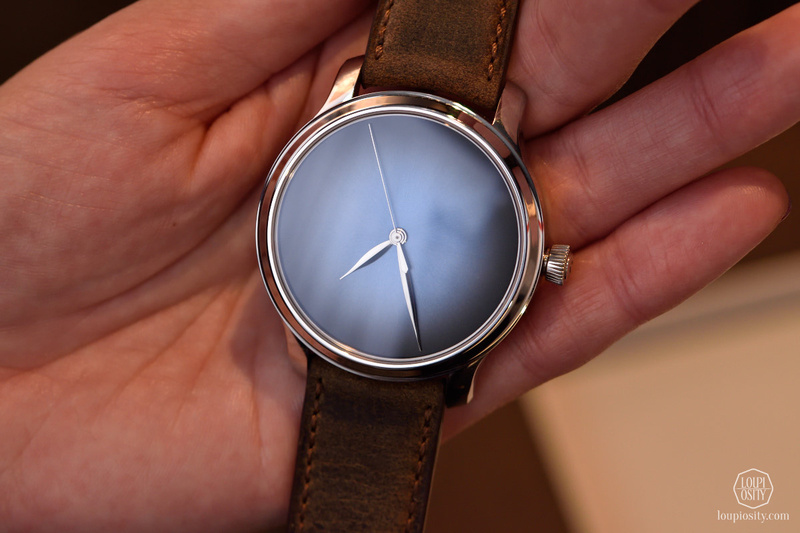 The third “Concept” brother is the Endeavour Perpetual Calendar Concept, the appearance of which is more solemn as it commemorates the 10th anniversary of H. Moser’s Perpetual Calendar. 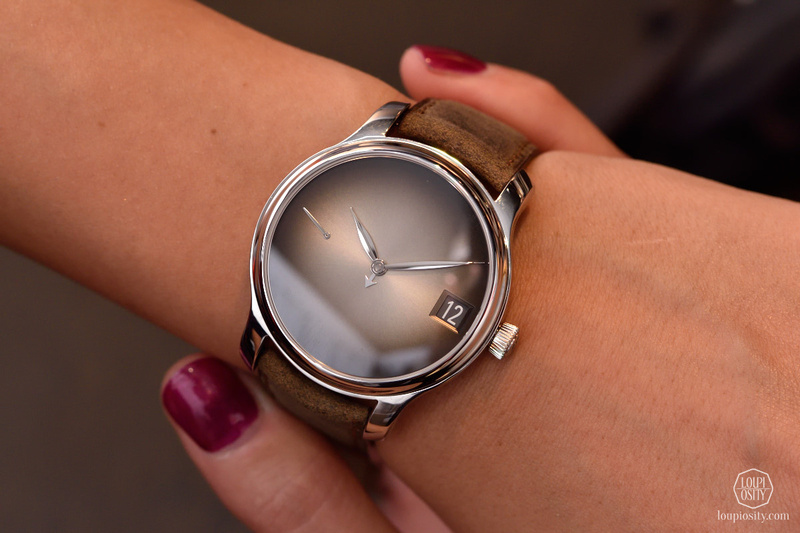 The 10-piece limited edition allows Roman numerals in the date aperture only. 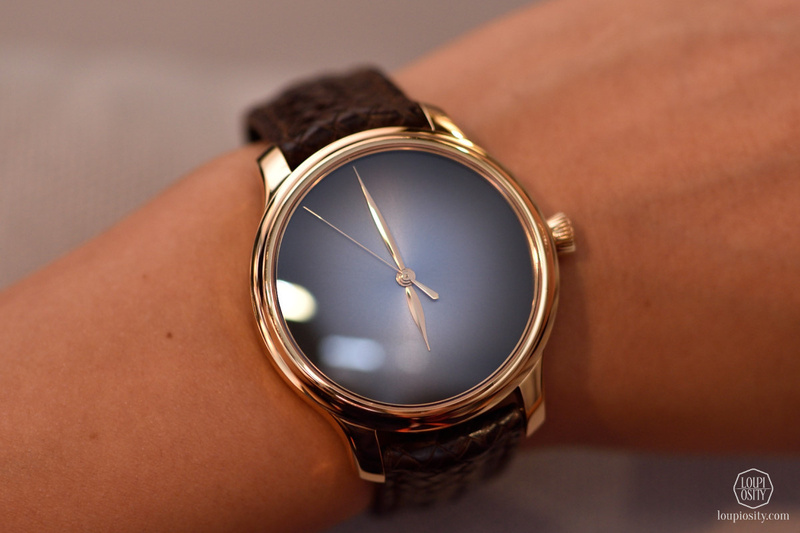 Months are displayed by the central small hand with a pert arrow tip. 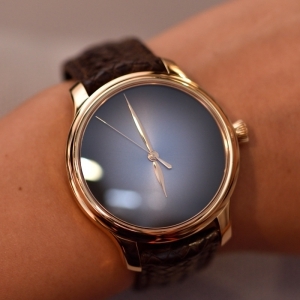 The calendar can be adjusted forwards or backwards at any time of the day. 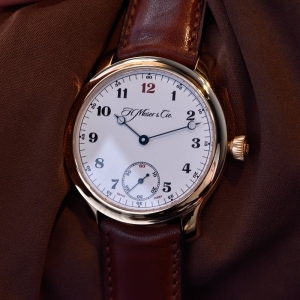 Running reserve of the 7-day HMC 341 calibre is shown at 3 o’clock. 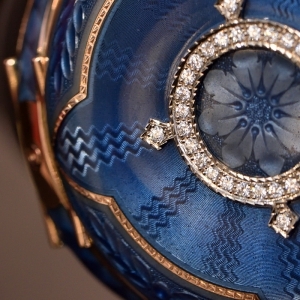 Although no scales, all information is perfectly legible on the cheeky dial. 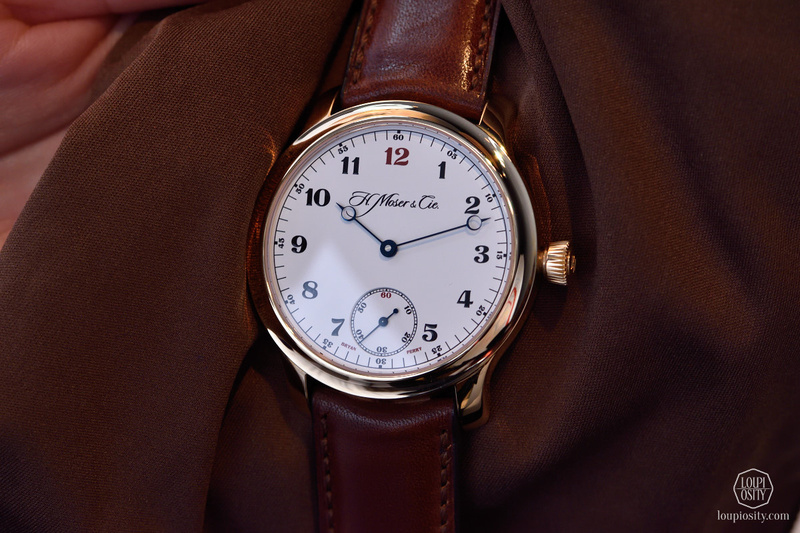 The tones are white gold on the case and fumé on the dial with sunburst pattern. 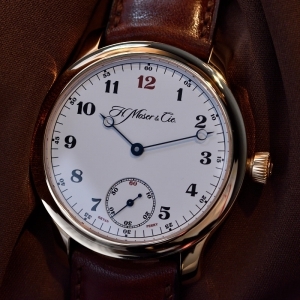 The 10 year-old perpetual calendar calibre had another tribute too, and for inspiration in encasing H. Moser & Cie. went back to a 19th century pocket watch. 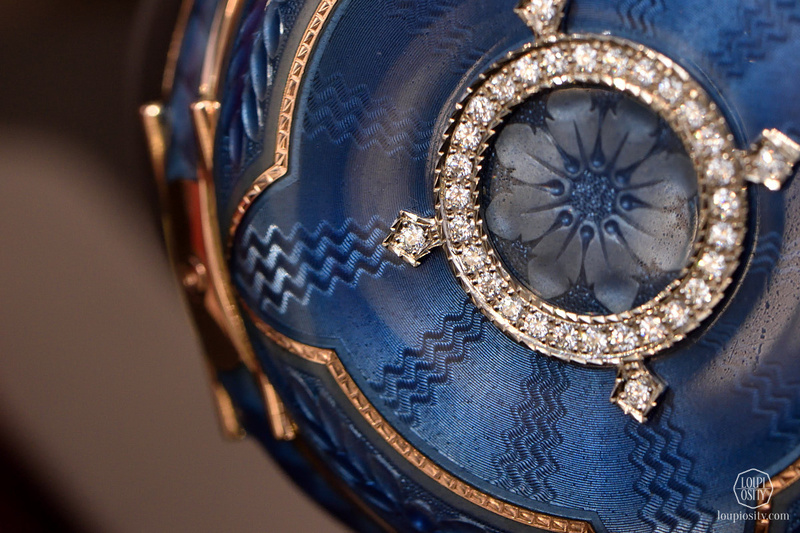 The original masterpiece was adorned with the combination of engraving, Grand Feu enamel and gem-setting – in line with the fashion of the era. 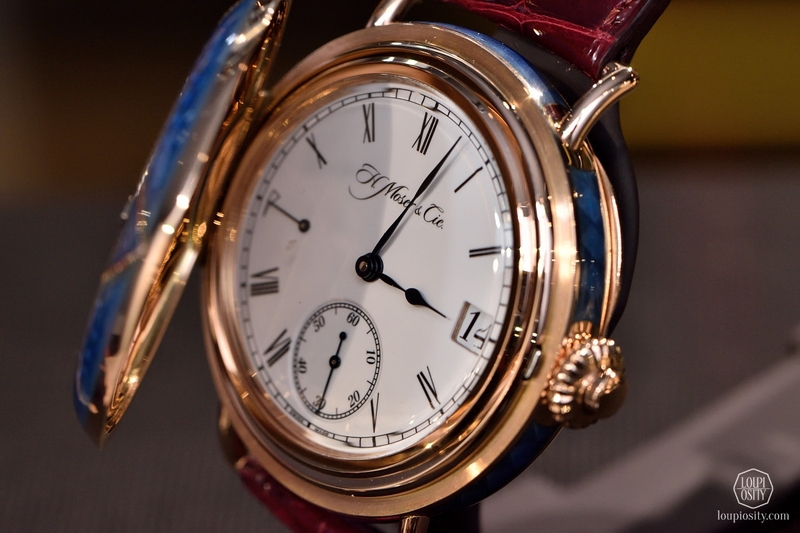 The novelty has a red-gold case with front and backside covers and graceful lugs. 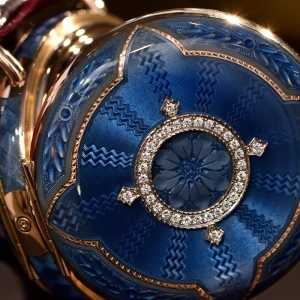 Both covers are hand-engraved in the original style and decorated with guilloche pattern. 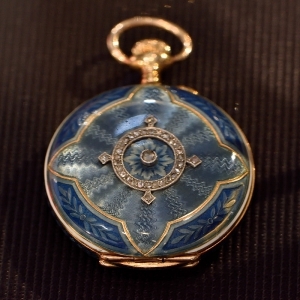 These have been enamelled and set with diamonds on the dial side. 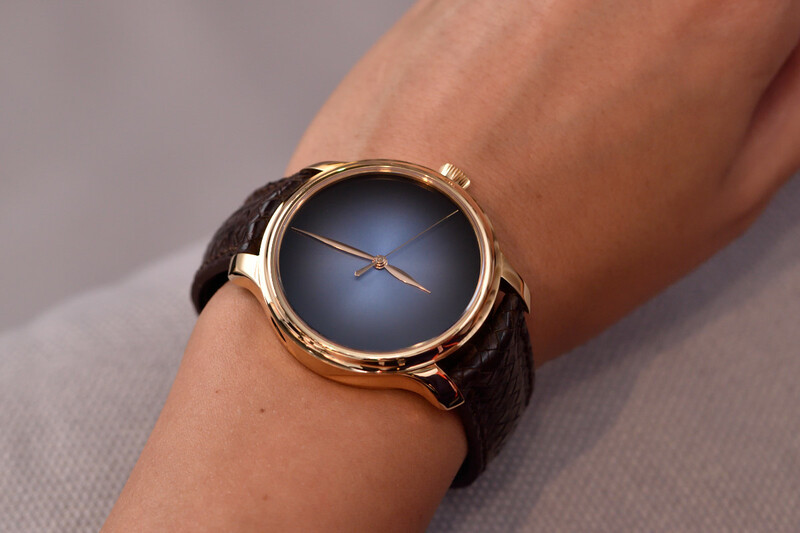 The new version is a wrist watch and the rounded case is fitted with a slightly burgundy-brownish crocodile leather strap. 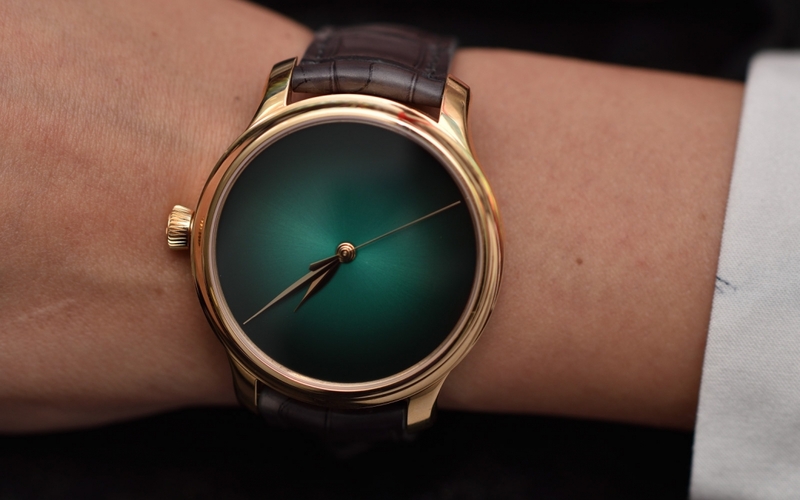 Naturally, the HMC 341 calibre beats in this piece, too. 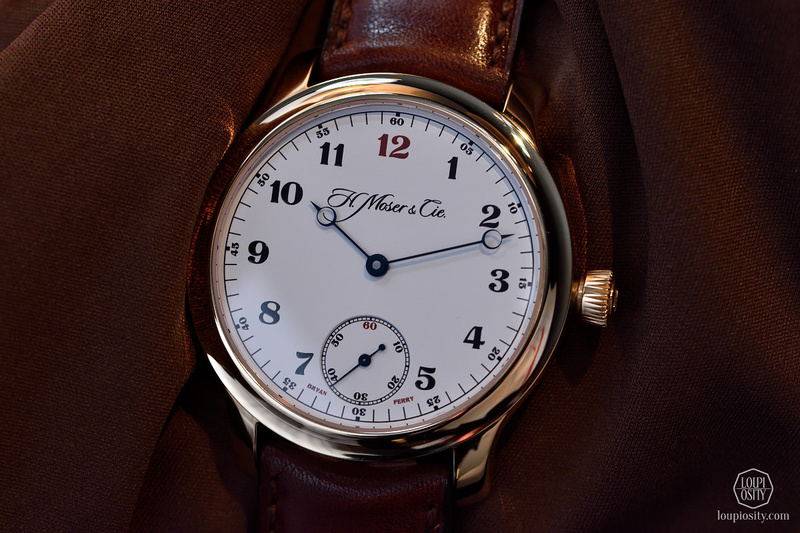 These days, when many manufactures reduced the size of their timepieces, H. Moser & Cie. has gone against the current and issued an increased diameter version of their Venturer line, while keeping its’ proportions. 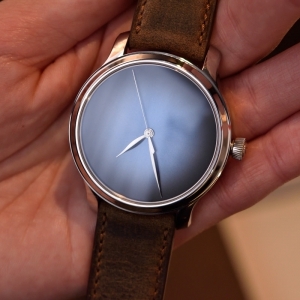 The Venturer Small Seconds XL White Gold Sky-Blue Fumé is 4mm wider totalling to a still comfortable 43mm. 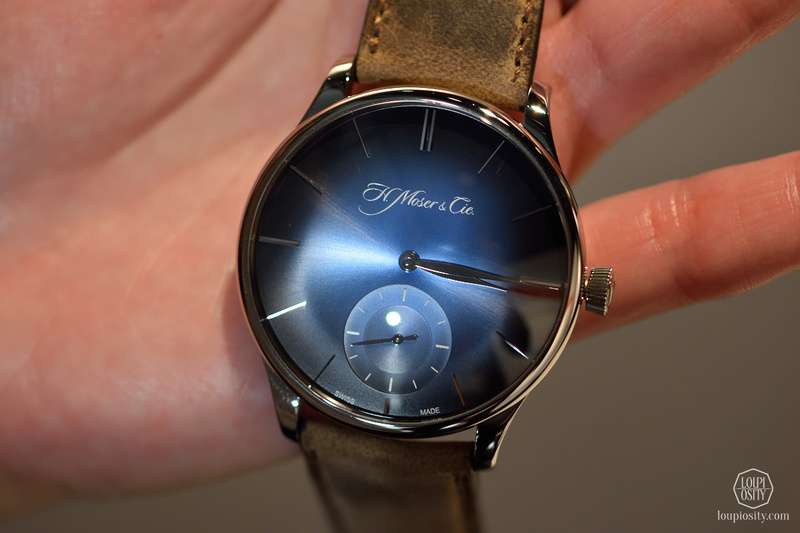 The new model is equipped with the same HMC 327 movement. 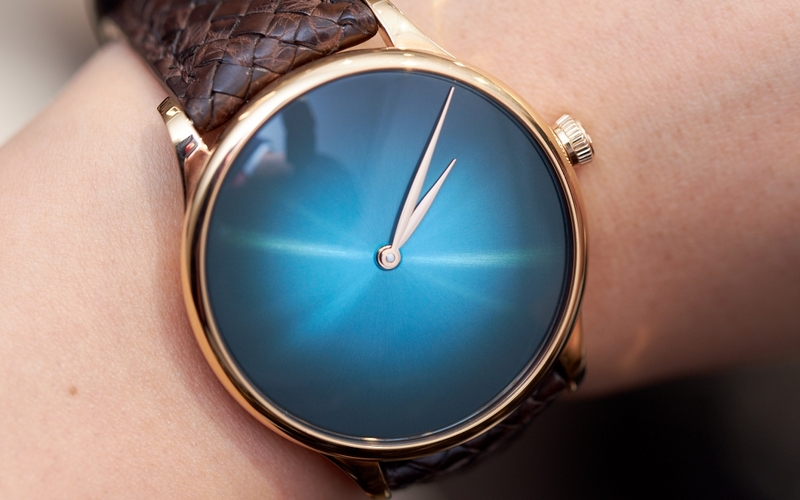 Besides the size, the colour is new in this line, too: it received the “Funky blue” tone similarly to the Endeavour Centre Seconds Concept watch.